Do you ever make plans that don’t quite work out? We’ve learnt to embrace our more spontaneous side over the past few weeks and in Switzerland that has certainly paid off. After a trip across the bridge to do our shopping in Germany, our original plan to take a rest day in Basel was scuppered by ‘Basel World’, Switzerland’s largest gathering of watch makers! 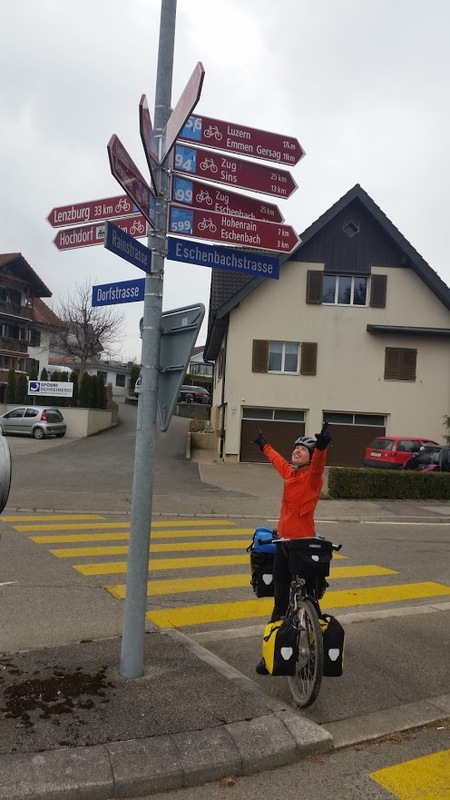 With prices hiked in the city (even the YHA was going to cost us £70 each for a dorm room) we headed to Kaiseraugst, led down the back streets by a local on a very fine Pinion bike, to a campsite on the Rhine that had just opened that day! It was an idyllic spot and we made the most of it the next morning doing bike maintenance, washing etc, before heading over the ‘hill’ to Aarau - a short 45km but with nearly 1000km of ascent we sure knew we’d made it to Switzerland! We were hosted again by so many lovely Warmshowers hosts in Switzerland, several whom also had an eye for maps and even worked in GIS like Jules. We were treated to raclette and homemade and foraged Swiss delicacies we will never forget - wild garlic pesto, apricot tarts and Russian bread to name a few. With so much to talk about we often had late nights but mornings were a bit more relaxed! Luckily for us we had extra motivation during the day in the form of Maud, Jules’s old work colleague who now lives in Zurich. Maud is a fountain of knowledge and not only guided us through all the best sweet treats in the bakeries, with the Engadiner Nusstorte (caramelised nut tart) being a joint favourite, but also the menus, the crazy Swiss-German language (plus Swiss-Italian, Swiss-French & Romansch), and the many Swiss intracacies. It was lots of fun cycling as a three and she’ll be sorely missed. 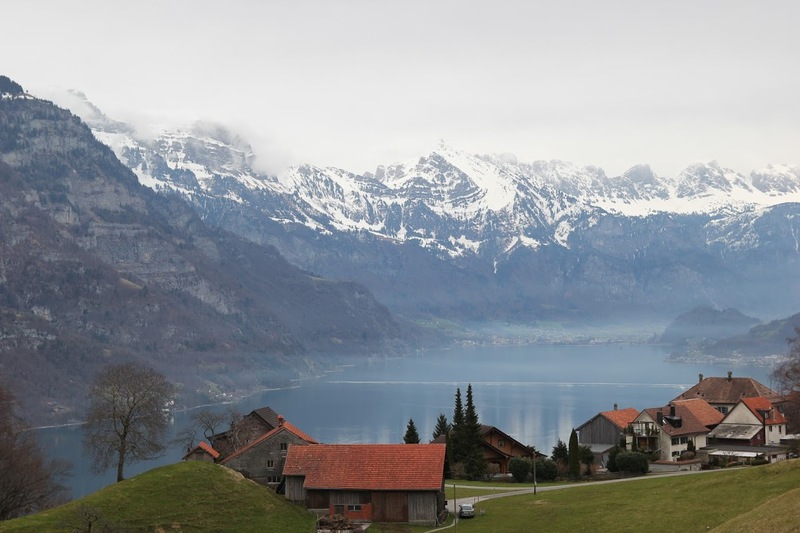 Our time in Switzerland was defintely dominated by four things: hills, kind people, excellent cycle paths and cheese! The Swiss have cheese for breakfast, lunch and dinner, so naturally we followed suit! As soon as we crossed the border we had cars stopping to ask if we needed directions, had four fantastic Warmshowers hosts, some local mountain bikers help fix Jules’s bike and even an offer to stay in a beautiful hotel free of charge for the night. As for the hills, any excuse for a climb and Jules will take it! Maud is also queen of the mountain, although perhaps drew the line at pushing the bikes uphill through a muddy farm for 500m, but yes it was worth it for the views! 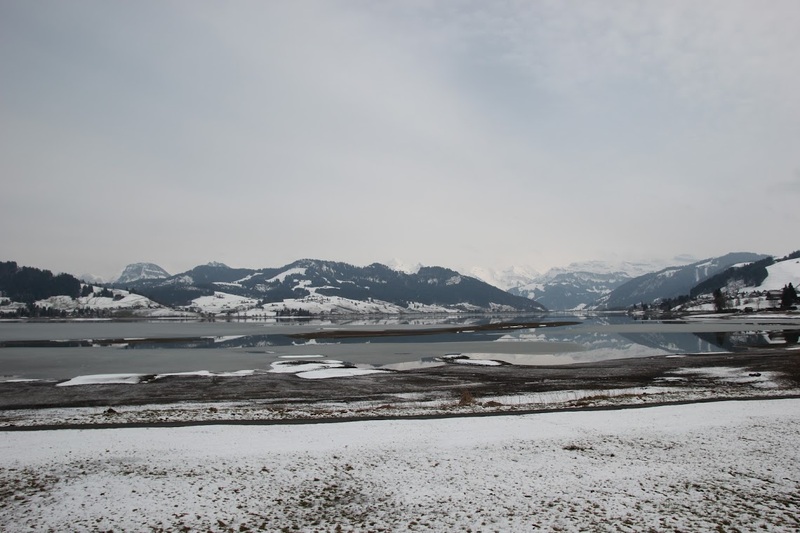 Absolutely stunning landscapes with the snow making a beautiful contrast with the mountains and the sky over the Walensee Lake. 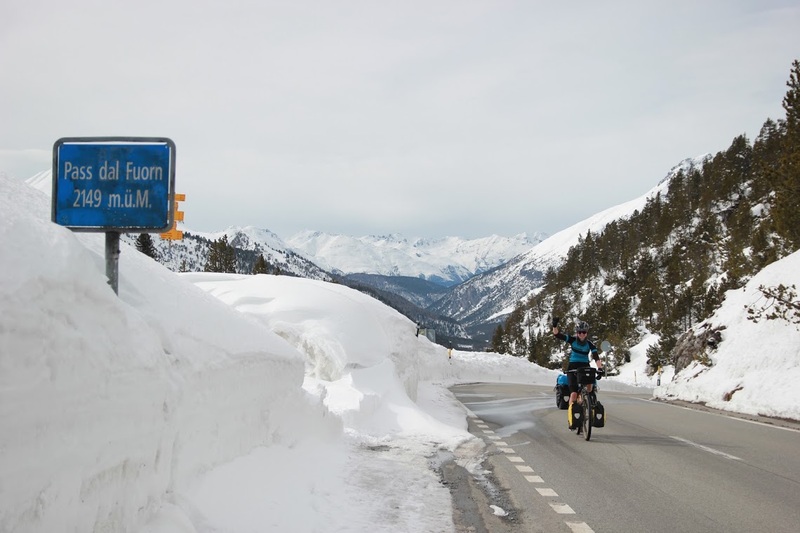 The two climbs that were on the list in particular were the Julier pass (2284m) and the Ofenpass (2147m), both open throughout winter snow dependent. We’d had a bit of everything weather wise and with Maud having to leave us on Easter Sunday we decided to head up to Bergün on Good Friday and reassess then. The last climb up to Bergün is steep withthe final 1.5kms averaging 14% and with sleet pelting down we were glad to have a B&B to dry off in at the top. We took Saturday off and explored Bergün, where sadly Europe’s longest sledge run had just closed. The beautiful Hotel Kurhaus (1906) was open however and we made the most of their observatory with 360 degree views of the snowy mountains around. 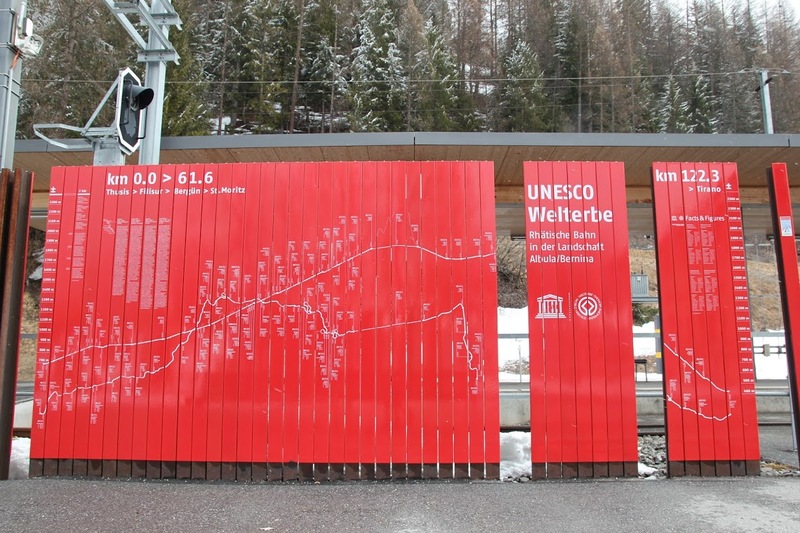 The Albula valley is also home to the spectacular UNESCO World Heritage Rhaetian Railway with 42 tunnels and 144 bridges it is well worth the ride. 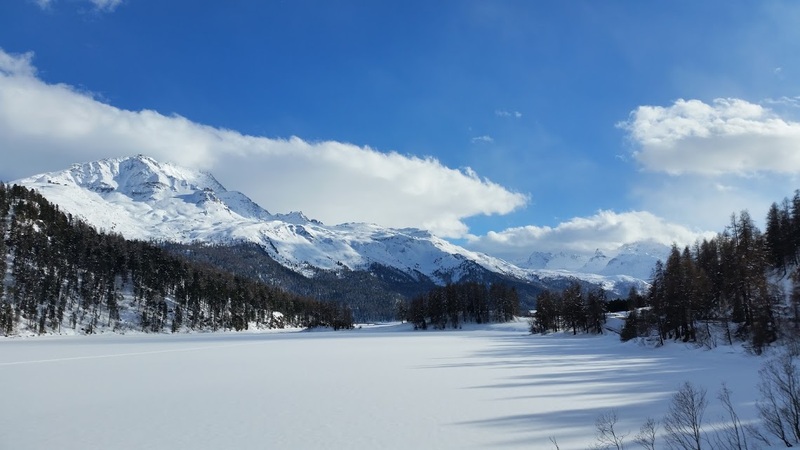 With the promise of a fine day we left Bergün on Easter Sunday whizzing down the valley we’d climbed up on Friday with snow flying in our faces. Sure enough at Tiefencastle where the climb begins the sun came out and we stripped off! It is a lovely climb, no more than 10% at its steepest and winds through villages and up to the snow. We had a warming lunch in Bivio, watching the skiers in fresh powder rather jealously!! The last 400m of climbing takes you on winding switchbacks with snow piled hight either side of the road, a stunning finish. 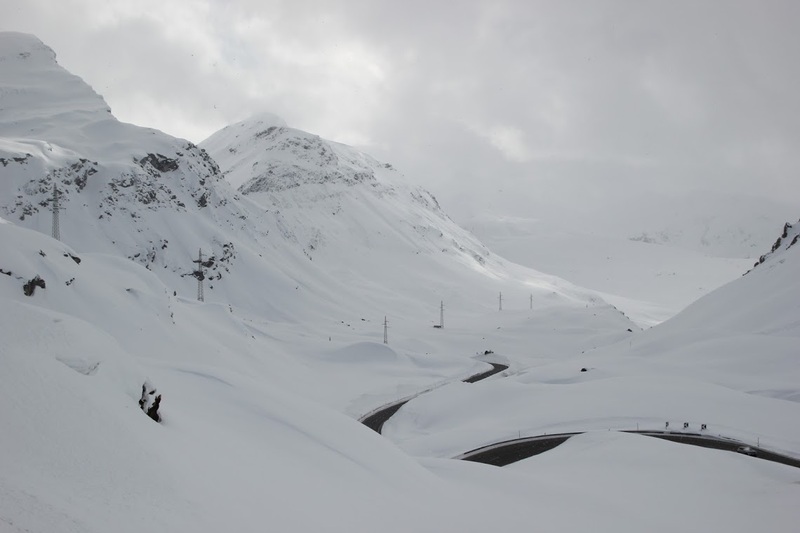 The ride back down to St Moritz is fast and steep and definitely required us wearing everything we owned to stop the wind chill. 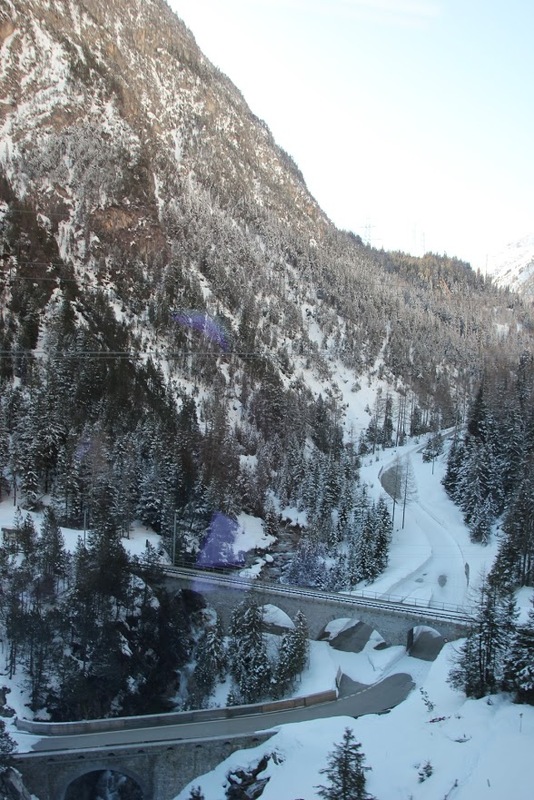 Sadly we had to say goodbye to Maud here and tackle the Ofenpass on our own eek!! The Ofenpass is a very different climb with long steep 12%+ sections and ‘false flats’ where your eyes tell you that you’re going downhill but you’re legs are pushing and your odo says 4% up it is! Shattered at the top, passing more ski tourers we whizzed down to Santa Maria in search of a bed and hot food. We stayed at the lovely Chasa Joura, 800 year old converted barn. Santa Maria is a beautiful town with lovely fresco paintings on all the houses. Sadly we were turned away from the only open restaurant though and ate porridge for supper instead! Luckily we had a great breakfast in the morning which fuelled us down the hill and into Italy!! !